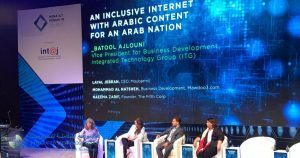 For the third time in a row, with a huge presence and regional attention by the ICT industry leaders; Integrated Technology Group (ITG) has participated in the two-day MENA ICT Forum 2018; a premier ICT industry event for the Middle East and North Africa region, that is held biennially in Jordan under the patronage of His Majesty King Abdullah II Ibn Al Hussein, where this year’s theme was “The New IT; Innovative Technology”. 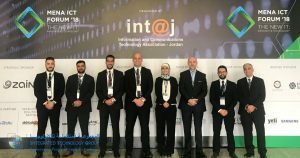 The MENA ICT Forum 2018 organized by The Information and Communications Technology Association of Jordan (int@j) brought together companies, leaders, and high-level decision-makers from the ICT sector, as well as entrepreneurs, government officials, and many professionals from across MENA region all in one place. 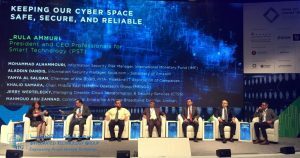 ITG being one of the leading companies in the ICT sector participated in this Forum, having the chance to meet with many high-level professionals from various industries and different countries of the MENA region. 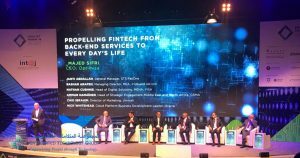 MENA ICT Forum was a perfect setting to acquire new sights and visions on the current and futuristic technologies and how it’s affecting the way of living. H.E. Eng. 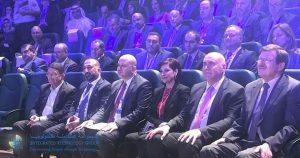 Mothanna Gharaibeh, the Minister of Information and Communications Technology on behalf of His Majesty King Abdullah II Ibn Al Hussein had opened the Forum with a rich speech; drawing the audience’s attention to this Forum’s vitality. 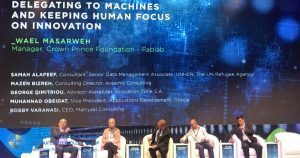 The Forum witnessed diverse panel discussion topics regarding technology’s effect on the global economy and our everyday life. The topics varied from “FinTech” and how IT firms should come up with solutions that are user friendly and increase efficiency, “Digital Commerce and Consumerism” and how business models are rapidly changing due to new innovative technologies, “Arabic Content for the Arab Nation” and the urgent need to produce more Arabic content for the growing number of Arabic users on the internet, and many more attention-grabbing topics such as “Virtual and Augmented Reality”, “Cyber Security”, “Smart Cities”, and “Artificial Intelligence”. 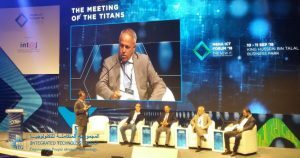 The Forum closing session was titled “The Meeting of the Titans” and was held between the biggest Telecommunication operators in Jordan (Umniah, Zain, & Orange) CEOs with the presence of Dr. Ghazi al Jobor – Telecommunication Regulatory Commission CEO; they discussed all the aspects of mobile services in Jordan and the growing rate of Internet usage and how it affects the Jordanian economy among other aspects, they also discussed the intensive support offered by these operators to startup companies and entrepreneurs. 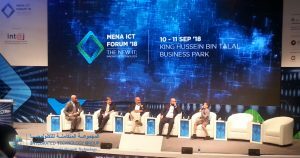 MENA ICT Forum 2018 presented a delightful experience and a refreshing insight into the non-stop innovation of new technologies. It is worth mentioning that Integrated Technology Group (ITG) was founded in 1989, being one of the leading companies in the IT sector worldwide, marked by its high quality and scalable e-learning, government and enterprise resource planning solutions, and empowering individuals and society by helping institutions toward increasing their efficiency, productivity, and profitability.